“Razzle dazzle ‘em!” Silver-tongue shyster lawyer Billy Flynn melodically opines that if you do that, you’ll have an audience eating out of your hand. If you can snag a ticket to the Keegan Theatre’s new production of Chicago, prepared to be razzled, dazzled and blown away. As is fitting for a musical set in the turbulent 1920s – a time of gangsters, molls, bootleg whiskey and speakeasy joints – Keegan clearly places the show in the time period, with period costumes, topped with bobbed coiffures, as designed by Alison Samantha Johnson and Shannon Marie Sheridan, respectively. The action, song and dance take place on an impressive set that brings to mind a Prohibition Era saloon, complete with nooks and stairs. Tucked into the set is the top notch instrumental ensemble adding their own heat to the hot jazz-infused score. [Jessica] Bennett, [Maria] Rizzo, and [Kurt] Boehm lead the company with effortless talents, each one a triple threat, handling the demands of the scenes, the score and the choreography in fine fashion. Bennett’s big turn “I Can’t Do it Alone” was a true showcase to her talents; and her duet with Rikki Howie Lacewell as jail matron Mama Morton was a stitch. Boehm pulled out the razzle dazzle in his big moments “All I Care About is Love,” “They Both Reached for the Gun” and the aforementioned “Razzle Dazzle.” Boehm brought a Bing Crosby ease to his singing and a Jimmy Cagney intensity to his dancing. Rizzo, very familiar to DC audiences through performances at both Keegan and Signature Theatre, was the best and most interesting Roxie Hart I have seen. Rizzo certainly has the dance moves, and possesses a sumptuous voice that can grow to a rich belt when required, showcased in “Funny Honey” and her big act one number, “Roxie.” But it was her interpretation of Roxie’s budding confidence and possibly frought backstory that truly impressed me. With a hint of a Marilyn Monroe pout and innocence, Rizzo also added idiosyncrasies to her Roxie that hinted at a troubled past; these quirks were shed as her character’s star rose. It was such a nuanced performance, I could not take my eyes off her when she was onstage. The entire company takes on the distinctive choreography by Rachel Leigh Dolan, which for the most part takes its cues from Kander’s masterpiece score and only hints at Fosse on occasion. 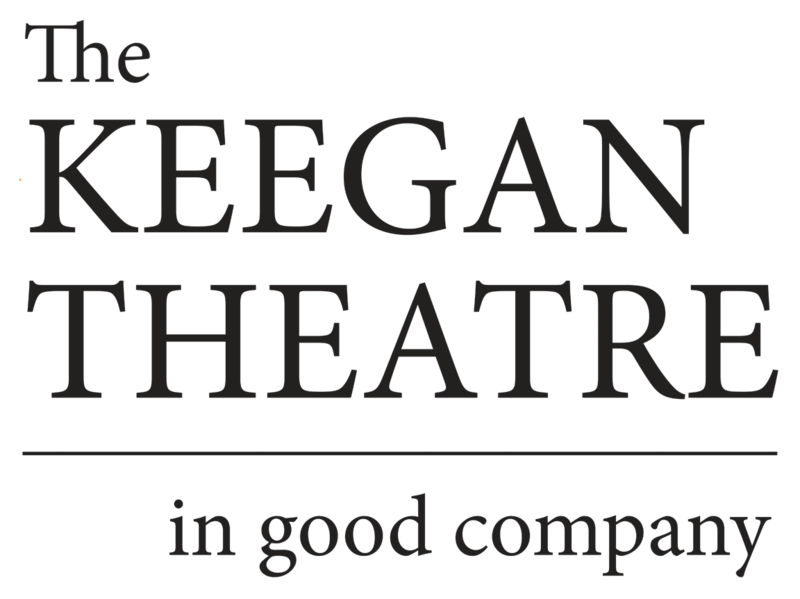 The entire production is overseen by the capable hands of Keegan’s husband and wife co-directors Susan Marie Rhea and Mark A. Rhea. The Rheas know how to interpret shows from the ground up and Chicago is yet another feather in their cap, a production that showcases the brilliant score and lyrics by Kander and Ebb and Fosse’s fascination with old-time show biz. Gimme that old razzle dazzle any day.